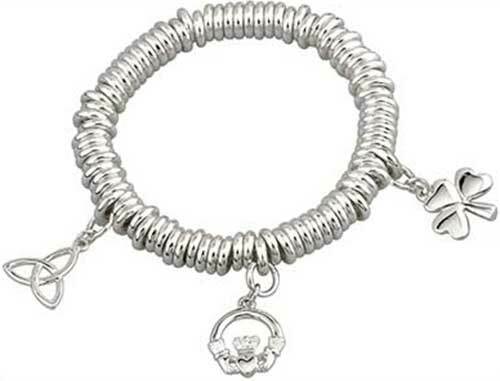 This Claddagh bracelet features a single charm with a silver plated finish. Shamrock bracelet features a triple design that is enhanced with green and white enamel. Shamrock charm bracelet is a silver plated design that is enhanced with green enamel leaves. 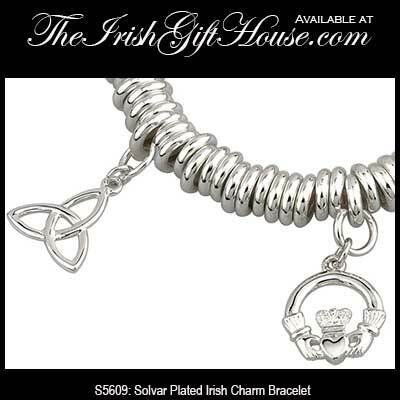 Shamrock bracelet features a silver plated stretch design with a charm.